My name is Jason Von Berg. I like to refer to myself as an online content specialist. I’m the Senior Multimedia Editor at DStv Digital Media. I look after the content side of the free video offering on DStv.com; coordinating schedules and roll out as well as shooting and producing content. I also manage the platform’s YouTube channels, which is exciting. In my spare time I’m an avid entertainment, lifestyle and travel blogger, who is now also dabbling in the health and well being industry too. I love triathlons, swimming, running and I’m getting used to cycling too ;) You can also hear me on CliffCentral.com every Tuesday between 11-12. In short, there’s never a dull moment in my day because it’s always busy, changing and that’s why I love it. Initially I found it quite difficult to balance my exercise regime and my professional life. I’m in the entertainment industry and with that comes a lot of events, launches and functions. I consciously had to make it work for me. So I make it happen – and having a national gym membership, good running shoes and devices to track and monitor my runs, there really is no excuse as to why I can’t make it work. I try and do at least two spinning sessions and two long distance swims a week. I will run every day regardless of whether I’ve spun or swum or not. Over the weekends I try and squeeze in a long cycle in the Cradle of Humankind, followed by a run too. And then of course I try and participate in as many runs as I can. What motivates me to get out there when I don’t feel like it? When I enter a big run, I often try and commit myself to running for a cause that resonates with me. 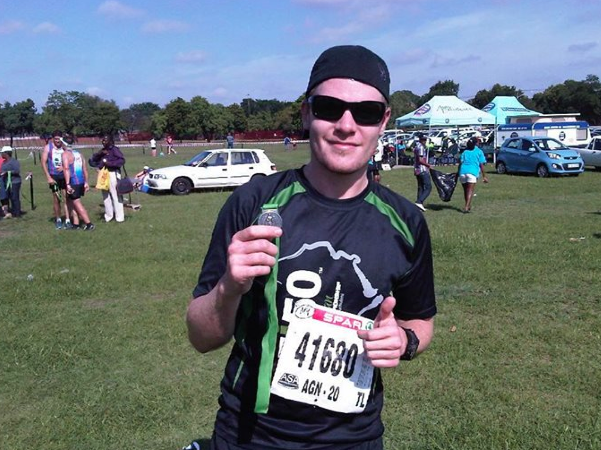 For example, I did the Old Mutual Two Oceans Marathon last year for the Put Foot Foundation. I managed to raise R12 000.00 for them and that motivated me. When my legs are sore and I’m just not in the mood, I remember the reason why I’m doing this. Plus I do this to clear my mind, my head and to stay fit and healthy. One of the things I love about running is the fact that it can take you to places you never thought you would go – literally. 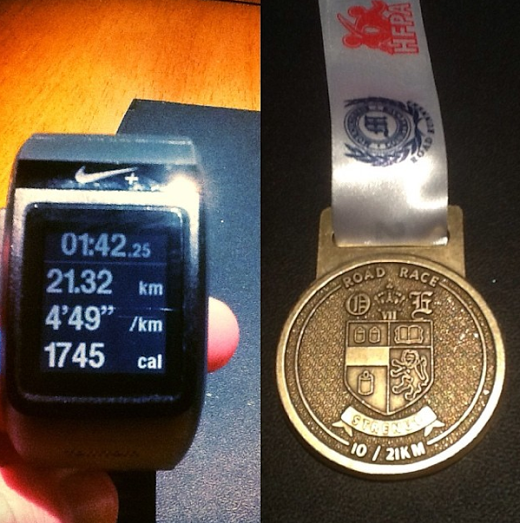 In 2013, I got the opportunity to travel to Brazil, where I participated in a 10km run in Rio. Who would’ve thought? I can run anywhere I go for work or for pleasure, which is also what I did recently when Turkish Airlines sent a group of us over to see the city of Istanbul. It’s an inexpesive sport that you can do whenever and wherever you are. There are always running events happening too, so there’s never a shortage… Big plus! Unlike cycling, I feel like I can control the situation better when I’m running. I avoid the busy roads and opt for more of the burbs, where there are trees and a bit of scenery. I think running can empower the youth for a number of reasons. The first is, like I mentioned, it’s relatively inexpensive. You don’t need the fanciest shoes in the world in order to run. You need a strong mind and your legs and half of the battle is won. Anyone can do it and because the youth of society are so physically active as it is, running could come naturally to many of them. When you take to the streets to run, you’ll come across some very beautiful and scenic spots and when you’re running, you take that in and forget about the long, never ending hills. I would like to compete in at least two international marathons in the future. One would definitely be in New York City and the other I’m open to. I would like to maintain or better my run times, which I think is doabale the older you get, contrary to what happens in other sports. I think the future of running is bright. In general, people are choosing to be more active nowadays and with running being an easy sport to get into, things look good. Plus with events like the Colour Run and Nike’s We Run Jozi, it’s making running “cool” and something you can do with your mates. I think parents are partly to blame. We live in an age where access to techonology through smartphones and tablets is so easy and these devices have become glorified babysitters. We live in a beautiful country and we really shouldn’t be stuck indoors, we should enjoying the warm weather, the fresh air and exercising while we’re at it. I think making exercise fun is key. A lot of people consider it to be a task and at a school level, many children are forced into it. If exercise is made more enjoyable, I’m sure we’ll see a significant difference. 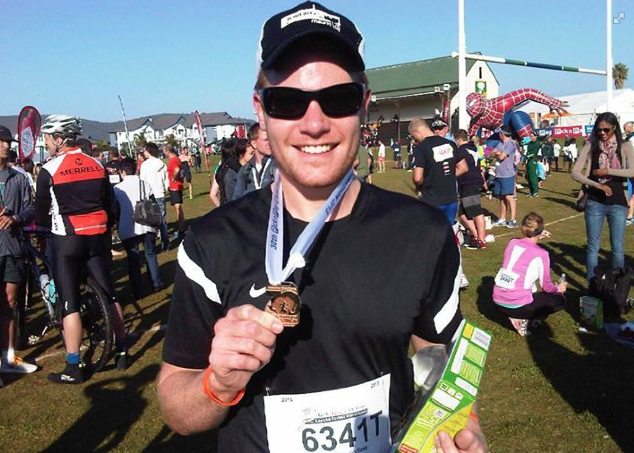 My best running experience has to be the Knysna Half Marathon in 2013. The route was amazing, the weather fantastic. Everyone was in high spirits, the air was fresh and I did my best time. Easily the best running experience I’ve ever had but this is closely followed by experience in Brazil. My worst running experience was probably after my first long triathlon. I battled to get the 40km cycle out the way and by the time I was done with that, I had to do a 10km run afterwards. It was hot, I was tired and I definitely had no sense of humour. I often have internal conversations with myself and at that point I said to self, “Self, just get it done” – and that’s exactly what I did. I pushed through and completed the run in a relatively good time. I love my Nikes. I currently run in the Pegasus range. I’ve done too many kilometres in these shoes, but I love them and I’m scared to part ways with them. Soon enough it will happen though. I cannot run without my Nike+ SportsWatch GPS. I’m a nerd like that, but not only does it track and map my runs, it also gives me my average pace, calories burned and distance covered. It’s the bomb! 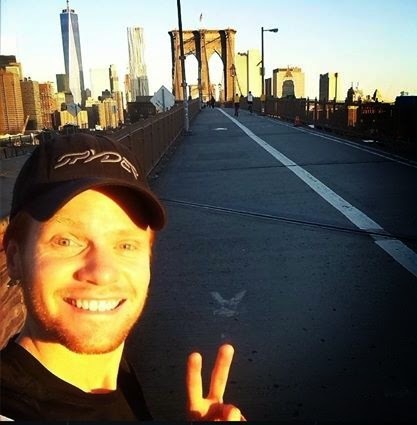 Can I be cheesy and borrow a line from a famous running brand? Just do it. Get out there, do it fast, or slow, but just do it. You might not enjoy it to start with, but once you get into a rhythm you will enjoy it and you might even become a bit addicted.